An enticing yet soon-to-expire home loan deal for contractors eyeing their first bit of bricks and mortar is the product of a price war between lenders that is making mortgages much cheaper, writes Tony Harris of ContractorMoney. In fact, all lenders are now desperately trying to finish the year with a surge of activity and low rates are how they’ve decided to achieve it. This means that such appealing rates are going to be commonplace in the run-up to Christmas. Underwriting changes announced this year as part of the Mortgage Market Review (MMR) hit first-time home loan applicants the hardest. A bit like the wet weather for the last week or two, the MMR has put a dampener on moving, at least in the short-term, for some. But first-timers will be among the victors of the fresh price war. Specifically, and for the first time since MMR, fixed-rate products at higher loan–to-value (LTV) are catching up with those at around 60% LTV, so the pressure will be off in terms of saving a large deposit to secure the best rates. Such fixed-rate mortgages remain by far the most popular choice among contractors and permies alike, as both types of workers seem aware that 2015 has the potential to be a tumultuous year, what with an election, predicted base rate hikes and the ongoing housing shortage. Fortunately, lenders have responded to this appetite for fixed, partly facilitating the steady increase we have seen in contractors moving on or up the property ladder, notably since the start of October. In short, contrary to the typical seasonal downward turn, the housing market is showing no signs of dipping as the autumn takes hold. In recognition of the need for deals tailored to the first-time buyer market, one lender has released a semi-exclusive two-year fix to us of 2.99% for up to a 90% LTV with, helpfully, no arrangement fee. This deal is a product of the price war and is from the Halifax, available to first-time buyers only, but up to generous maximum loan size of £750,000. So even those contractors who want to buy in London will be able to benefit. 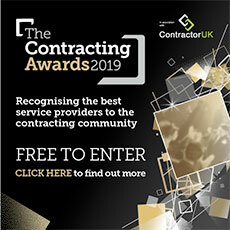 Halifax is an established supporter of the contractor community, offering mortgages to those who have just started out on their contracting career as well as more seasoned freelancers. For example, it recognises that you might be part way through your contract rather than it stipulating that you must have a fresh piece of work arranged. They also offer mortgages with a minimal deposit available. To put this deal into perspective, contractors would have needed more than double the deposit to secure a rate this low in September. So the price war is already having a direct and positive impact on the availability of high LTV mortgages for the contractor community. This 90% offering will be welcome news for limited company contractors, particularly to those who have kept their company drawings to a minimum for tax reasons, which in turn restricts deposit capability. All good things must come to an end and, unfortunately, the same is true with this first time buyer rate as Halifax have limited funds available at this level, so are likely to pull the rate before the end of this week. If you want to take advantage of it, then it really is a case of buy now while stocks last. Remember, this is likely to be true of all of these price war-induced rates, whereby lenders are sampling the appetite of homeowners by allocating small reserves of lending to these flash sales, before they introduce their long term bank of fixed rate products, pencilled in to see us into 2015. The key to making the most of a mortgage price war is to watch the market carefully and when your ideal product is released, act quickly to secure it - before the lender is flooded with applications and is forced to pull the rate. With all of the political goings-on of late in Scotland, contractors might have missed an announcement by the Scottish Finance Secretary, John Swinney. He said that homeowners north of the border would be charged 10% tax on properties purchased over £250,000. This new system will be called the Land and Buildings Transaction Tax (LBTT) and will replace the old Stamp Duty Land Tax. For many Scottish homeowners, this change will have little to no impact as property prices are on average £164,105 (according LSL Property Services and Acadata). But our contractor clients will typically breach this threshold. The Scottish government is championing the LBTT as a move to help first-time buyers to gain that much-needed foot hold on the property ladder, as anyone purchasing a property below £135,000 will pay no tax under the new LBTT (the Stamp Duty threshold is currently £125,000). Those purchasing a property up to £250,000 will benefit from the new marginal tax structure, where the first £135,000 remains LBTT free and just 2% is charged on the amount over and above £135k. However any contractor purchasing in cities such as Edinburgh will feel the pinch with the average house price in the capital costing around £363,000 (according to Savills Research). Contractors spending this much on a new house would pay £13,600 in LBTT which is 25% more than they would pay under the current Stamp Duty tax system. For contractors purchasing at the top of the market, the effects will be even more severe as 12% tax will be levied against properties worth upwards of £1million. There is expected to be a surge in sales of properties over the £325,000 threshold in the next seven months leading up to 1st April, with thousands of buyers expected to seek to save tax and move before the new rules kick in. It is likely to be akin to the period between 2010 and 2012 when first-time buyers were exempt from paying stamp duty for properties up to £250,000. At that time, we saw a massive increase in sales at this end of the market. It remains to be seen if this move will have a negative or positive impact on the Scottish property market but one thing is certain, if the effects are positive then there will only be one question on contractors’ minds… will the LBTT replace stamp duty south of the border in the future? Editor's Note: For more information on contractor mortgages please click here.